Apartment Anda in Garmisch-partenkirchen is an apartment building. Offering free WiFi and mountain views, Apartment Anda provides accommodation set in Garmisch-Partenkirchen, just 1.1 km from Garmisch-Partenkirchen City Hall. The accommodation is 1.2 km from the Richard Strauss Institute. The provided apartment is equipped with 2 bedrooms, a living room, a kitchen, a dining area, and 1 bathroom with a bath. A flat-screen TV is featured. Skiing and cycling are possible within the area, and the apartment offers ski storage space. Werdenfels Museum is 1.7 km from ...Apartment Anda, while Historical Ludwigstrasse is 1.7 km away. 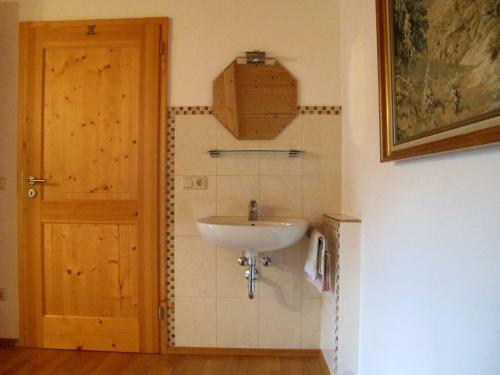 Offering free WiFi and mountain views, Apartment Anda provides accommodation set in Garmisch-Partenkirchen, just 1.1 km from Garmisch-Partenkirchen Ci...ty Hall. The accommodation is 1.2 km from the Richard Strauss Institute. The provided apartment is equipped with 2 bedrooms, a living room, a kitchen, a dining area, and 1 bathroom with a bath. A flat-screen TV is featured. 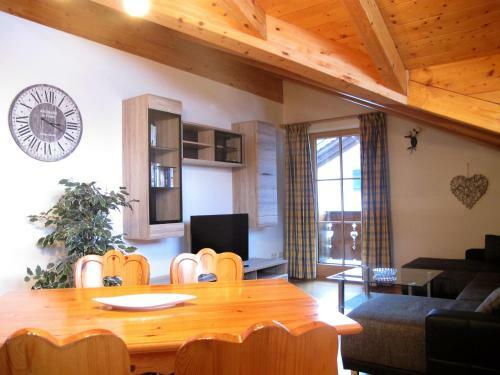 Skiing and cycling are possible within the area, and the apartment offers ski storage space. Werdenfels Museum is 1.7 km from Apartment Anda, while Historical Ludwigstrasse is 1.7 km away. When would you like to stay at Apartment Anda? Children and extra beds All children or adults are charged EUR 8 per person per night for extra beds. There is no capacity for cots in the room. The maximum number of extra beds in a room is 1. Supplements are not calculated automatically in the total costs and will have to be paid for separately when checking out. This property will not accommodate hen, stag or similar parties. Please inform Apartment Anda in advance of your expected arrival time. You can use the Special Requests box when booking, or contact the property directly with the contact details provided in your confirmation.